Hashem wants us to yearn for the perfected world where pain and suffering will be unnecessary. Shira Smiles is a sought-after international lecturer, popular seminary teacher and experienced curriculum developer. A well-respected former Los Angeles teacher, she now lives in Israel, where she teaches at Darchei Bina Seminary and leads a number of women's study groups. 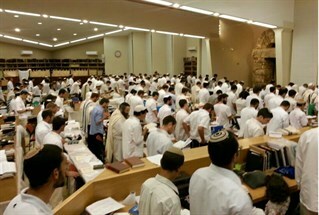 Shira also trains Torah teachers in special workshops all over the world. “Did you conduct your business faithfully? 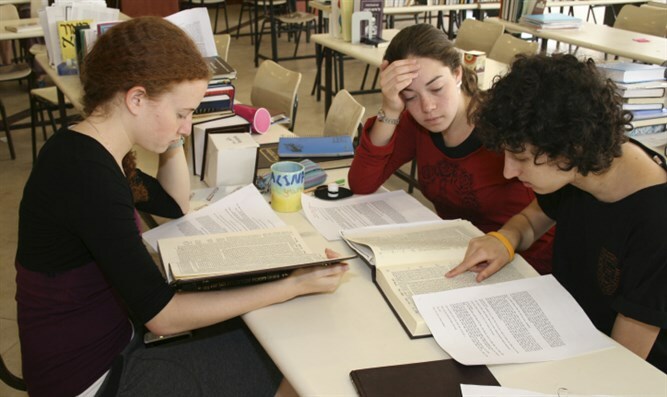 Did you set aside fixed times for Torah study? Did you engage in procreation? Did you wait in hope for the Messianic Redemption? All the questions save one seem to have one thing in common, points out Rabbi Frand. They all seem to focus on our daily life - except for hoping for the salvation. It seems logical then, continues Rabbi Frand, that yearning for the redemption should also be an ongoing daily activity and not something relegated to haphazard, infrequent thought. The premise that one must constantly yearn for and anticipate the redemption is so central to Judaism that Maimonides, the Rambam, lists it as one of the thirteen Principles of Faith incumbent on every Jew to keep as central in his daily life. The Slonimer Rebbe, the Netivot Shalom, explains more fully the relationship between belief in the Creator and belief and longing that He will bring the Messiah (Mashiach) at any moment. As noted, Hashem planned for a perfect world in which all would have knowledge of Him. But through Adam’s sin, we were removed from that ideal to a world of falsehood and lies. Yet we still believe in that world of goodness where God’s presence is not concealed in the pain of His hiddenness. We believe that this is the night that precedes the day, and we long for the day when our intimacy with Hakodosh Boruch Hu will be reestablished. To deny that that day will come, continues the Netivot Shalom, is to deny God’s ultimate purpose to create a world of perfection. But if I am praying for Mashiach’s arrival to ease my family’s finances or to help me in social situations, writes the Siach Yosef, then my yearning is for the physical world and not for the spiritually perfect world of connection to Hashem. Physical pleasures are very transitory, but if my wish is to create a world of chessed, lovingkindness, that I can constantly recall in spiritual pleasure, then I can create the ultimate pleasure of a relationship with the Master of the Universe, Ribbonoh shel Olam. Unfortunately, writes Rabbi Frand, we seem quite content with our level of spirituality and remain unaware of what we are lacking. Rabbi Frand then relates a beautiful parable from Rabbi Shimon Schwab that puts our condition into perspective. Imagine, he writes, that you are at a wedding; everyone is dressed beautifully, the band is playing and the food is delicious. The only thing missing is the bride, and no one seems to be aware of her absence. So are we today. There are wonderful yeshivas for our children, we live in a frum community, we have moving services in our synagogues. We don’t even realize that 'the bride is missing'.” Hashem wants us to yearn for the perfected world where pain and suffering will be unnecessary. Rabbi Pincus in Golus Ligeulah cites a question from the Chasam Sofer and asks why a belief in the imminent arrival of Mashiach should be one of the thirteen principles of faith, the denial of which would constitute apostasy. After all, we have lived for centuries now as religious Jews without the arrival of Moshiach. Rabbi Pincus answers that belief and yearning for Mashiach is something we need today; it is not about the future. The essence of Judaism is not about reward and punishment, but about partnering with the Almighty, Hakodosh Boruch Hu, in perfecting the world. While Hashem suffers with us in our exile, we also suffer with Him as He is distant from us. We worry with Hashem as His partners concerned with our “business”, not as employees who don’t care about the business as long as they get their paychecks on time. The condition of the world, of our “business” with Hashem is relevant at every moment of the present, much like a groom who, in those moments of yichud and intimacy immediately following the ceremony, strives to use these moments to strengthen his personal relationship with his bride rather than to discuss future family issues. Yearning for Mashiach is about today because I understand that the exile means that God has concealed Himself from me, and I long for that elusive relationship. I want it today, and I know it can happen at any moment. Torah and mitzvot are meant to strengthen that relationship, not to exist on their own, in a vacuum, because they are enjoyable. We can observe all the mitzvot, and the bride can still be missing without our even realizing it. Our tears on the fast of the 9th of Av, Tisha B’Av, are there because we aren’t even aware of what we’re missing. That we feel comfortable living as Jews in exile is merely a mirage. In the Gemarrah, Rabba bar Bar-Chana tells a story of a boat that landed on the back of a huge whale. Thinking they had landed on an island, the sailors got out, built a fire, and started cooking. When the whale felt the fire, it flipped over, and Rabba Bar Bar-Chana and his companions barely managed to escape by grabbing onto the boat. The analogy is clear, explains the Maharash. During our long exile, we wander from country to country. Each time we establish roots, but eventually the country expels us or tries to destroy us. As long as we are in exile, we are living our lives on the back of the whale, writes Rabbi Frand. But are we crying for the discomfort of our lives, or for the severance of our relationship with Hakodosh Boruch Hu? So what can we do to reestablish this connection, a connection that was very palpable during the time of the Temples, the Beit Hamikdosh? Rabbi Lugassi offers us some suggestions in Beyam Derech. We live in an age of concealment that generates much apostasy and questioning of our fundamental beliefs. Yet, if we are to reestablish a strong connection with Hashem, we must strengthen our faith that things are not coincidental. We must see that every missile fired at our nation has as its target a destruction of our faith in the Ribbonoh shel Olam. We must also recognize the challenge to our faith from technology. Will we use these tools to disseminate Torah and Godliness to the world, or to fan the flames of promiscuity? We must focus on the holy among all the impurity. Chevlei Mashiach, a Talmudic term about the difficulties before the Messiah arrives, can be translated not only as the birth pangs (chevlei leyda in Hebrew) accompanying the arrival of Mashiach, but also as the rope (chevel in Hebrew) which connects us to Mashiach and swings precariously. If we don’t hold on tightly, we may fall. How else can we bring salvation to Zion? By bringing back those who have sinned, quotes Tallelei Chaim, Rav Chaim Hacohen, the Chalban, from Isaiah. We begin by doing our own teshuvah and then bringing back others through our example. We can accomplish this only by generating a sense of unity, achdut, among members of Bnei Yisroel. This love for one another can best be expressed through acts of kindness,chessed. As the Manchester Rav points out inInspiration and Insight, the first blessing of the Shemona Esrei, the Silent Devotion, explicitly states that Hashem remembers the chessed of our forefathers and brings their redeemer to their children’s children with love. Above all, Hashem values the love we bear one another and our acts of loving kindness toward each other. While we resolve to do teshuvah on Tisha B’Av, we must also involve ourselves with the needs of our fellow Jews. These acts will hasten the Redeemer. A strong enough belief and desire will bring that day closer, writes the Netivot Shalom, for Hashem brought the redemption in Egypt because the Children of Israel, Bnei Yisroel, cried out to Him and wanted to be redeemed. Those who did not desire redemption died in Egypt. Our desire creates the energy that the Satan tries so hard to destroy. Our job is to wait and to long for the redemption. Then from Your place You, our God, will appear, writes Rabbi Dessler in Michtav Me’Eliyahu. How will it come? Suddenly, at any moment. Life goes on and suddenly Mashiach will appear, write the compilers of Sichos Hizchazkus. When you plan your day, writes the Chofetz Chaim, build into your schedule changes that will be needed when Mashiach arrives in mid afternoon. Build Mashiach Momentum through anticipation. Learn from Rebetzin Smiles’ daughter who, with the sirens sounding and missiles flying into Eretz Yisroel, assumed Mashiach must be on his way and started combing her mother’s shaitel so the family would be ready for that awesome moment. The more we live with the thought of Mashiach on a daily basis, the more Mashiach Momentum we create. Study the Thirteen Principles of Faith in our Siddurim (found after the Daily Morning Prayers), recite the lines of hope for the redemption from Alenu with passion, and perform acts of chessed to bring love and unity among our people. Let us pray that this Tisha B’Av will become a day of celebration as Mashiach arrives and God’s presence is revealed to all mankind.